When we were on vacation in Florida, I found these cute little cotton drawstring bags. I had no idea what I was going to do with them when I bought them. I decided to try my hand at stamping on them. Stamping on these little treasures worked out great! I raided my stash and found the perfect embellishments, some ribbon, a little crochet flower, a tag (Enjoy the Journey) and a couple of stick pins completed the vintage look. I might have a hard time parting with this little bag. To be eligible for the prize draw you need to be linked by Sunday, October 6th. I found this little tin in my stash. I painted it, sanded it, painted it some more, used crackle paint on it and then sanded some more. I used some washi tape, flowers and some other embellishments I found in my stash to complete the project. I then cut the circles, printed Bible verses on them and then distressed them. The best part was I used the Kreaxions circle cutter to cut all those circles. It made finishing up the project so easy! Oh how I love that circle cutter! It‘s Monday and that means a new challenge on the Kaboodle Doodles Challenge Blog. Today’s challenge is “use orange”. I’m trying to get Halloween cards made up to send the grandkids. This little orange pumpkin should make someone smile. To be eligible for the prize draw you need to be linked by Sunday, September 29th. One random drawn prize winner will receive a $6 gift certificate from Floppy Latte. I found a pack of mustaches at Old Navy of all places and bought them because I thought my grandkids would have fun with them. The boys did … but I’m not so sure Gracelynn did lol! She really was not a Happy Camper! This photo was just too cute not to scrap. I used the Kreaxions 4 in 1 punch # 918 to make the otherwise plan edges of my patterned paper extraordinary. Michelle Giraud had a card on the SRM Blog and I was so inspired by it! Inspired enough to dig out my watercolors and try making some flowers stamped on pages from an old book. After adding a few embellishments, sweet baby Gracelynn’s layout was complete. You can check out my Tuesday TTT post on Turtle Soup. Hope you can join me in the challenge. I think I have found a new favorite … Pillow Boxes! I’ve been looking for an effortless template and found one on the Cricut Girl’s Makeup Party cartridge. These boxes are just perfect when you need a unique packaging design for small gifts. I’m thinking small gourmet treats, soaps, jewelry, etc The possibilities for filling these are endless and the potential for decorating them … OH MY! I have so many ideas in my head right now lol! I’m sure you will be seeing more of these little treasures. To be eligible for the prize draw you need to be linked by Sunday, September 22nd. and then leave one final comment on the Just Imagine Blog. We'll announce the lucky winner on Monday! from Sept 14 - Sept 15!! Discount good online only and CAN NOT be combined with any other offers. 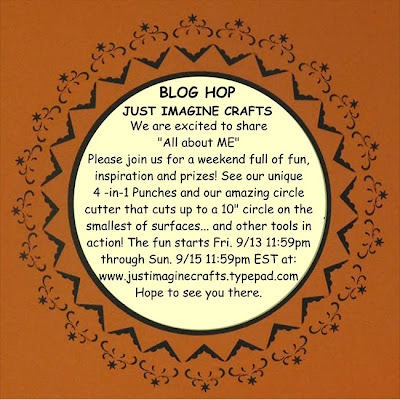 and after Wendi go back to Just Imagine Crafts to leave a comment about the blog hop. (one of my favorite punches) to make my decorative edges. and see what they have done with the Kreaxions products. The next stop is at Karen's blog. Thanks for stopping and hopping with us. My grandson’s teachers will be getting clipboards as one of their monthly gifts. What teacher doesn’t need a clipboard to help them keep track of notes and other information … and why not use one that’s cute as well as functional. I used the Kreaxions 4 in 1 punch # 903 to make the decorative strips. I used both the positive and the negative punched strips for this project. I’m trying to keep up with the teacher gifts for my grandson’s teachers. Not an easy task when there are 9 teachers and a bus driver to make something for. (What was I thinking lol!) This month they will each get a card which my daughter will write a note of appreciation in. I'm sharing the "Friday Inspiration" at Turtle Soup today. I do and I have a board of paper crafting projects that I would like to try. When I saw these feathers I just knew I had to add them to my " try list". 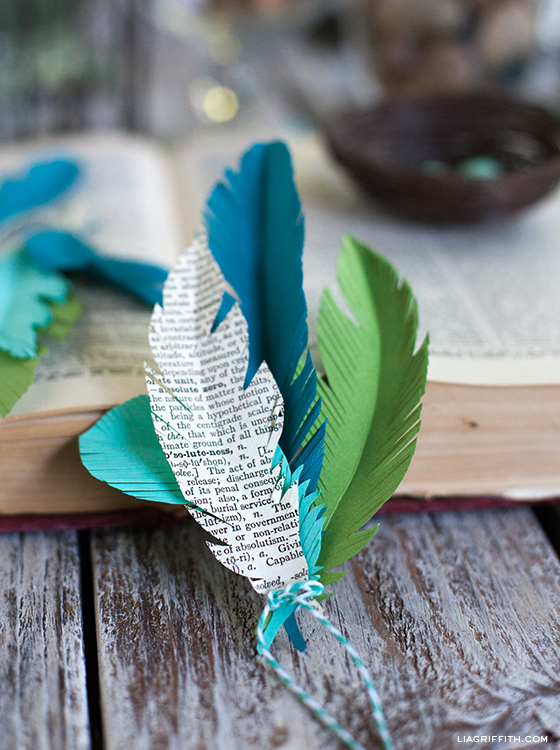 I used the feathers I made on a layout I created for my granddaughter's scrapbook album. I’m also sharing a project on the Just Imagine Crafts Blog today. I found this wonderful music tissue paper in a little scrapbooking store while we were on vacation in FL. When I saw it I knew I would be using it for a special project. 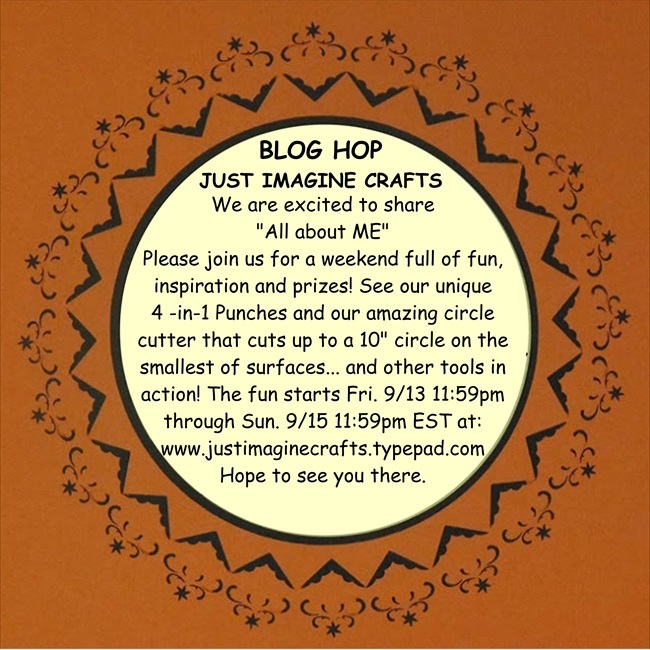 When I received my new punches from Just Imagine Crafts it just all came together. To punch the tissue paper I first placed it on top of a piece of copy paper and adhered it to the copy paper with painters tape. Then I was able to punch through the tissue paper and the copy paper, giving the tissue paper a clean punch (otherwise the tissue paper tears in the punch). I used the Kreaxions 4 in one 1 punch #904. I hand cut two hearts, one on each side of the tissue paper so the light would shine through. I used an old glass container I had and placed a candle holder and a battery operated candle in the bottom. Adding the ribbon and some bows completed the project. My friend Bev Code (be sure to check out her blog) shared a tutorial for how to make this amazing card on the Turtle Soup forum. I thought it was an amazing design and had to give it a try. Kaboodle Doodles Challenge Blog. To be eligible for the prize draw you need to be linked by Sunday, September 8th.